I got out my Derwent Inktense blocks again and made a lunch bag for my sister-in-law’s birthday. I stitched the hummingbird first, using the free-motion attachment on my machine and then came back in with the Inktense blocks and fabric medium to paint the bird. I really like this method. I used Derwent Inktense Blocks on fabric to create a watercolor effect. I love these paints, they work on many different surfaces. They are solid so they travel well. I have not put they through the wash yet, but with the fabric medium I used it should be washable. Something you would want to test before painting if the piece is going to be washed. I enjoy paper piecing and came across these great letters designed by Kelly from kelbysews. She has kindly shared the four letters of LOVE with Sew Mama Sew. I took the letters and made a table runner for a friends anniversary present. The whole alphabet is available through Kelly’s Esty shop. And here is my table runner. If you have been following my blog for any length of time you know I like Nancy Zieman. (Sewing with Nancy) One of my major sewing problems is getting a pattern to fit. 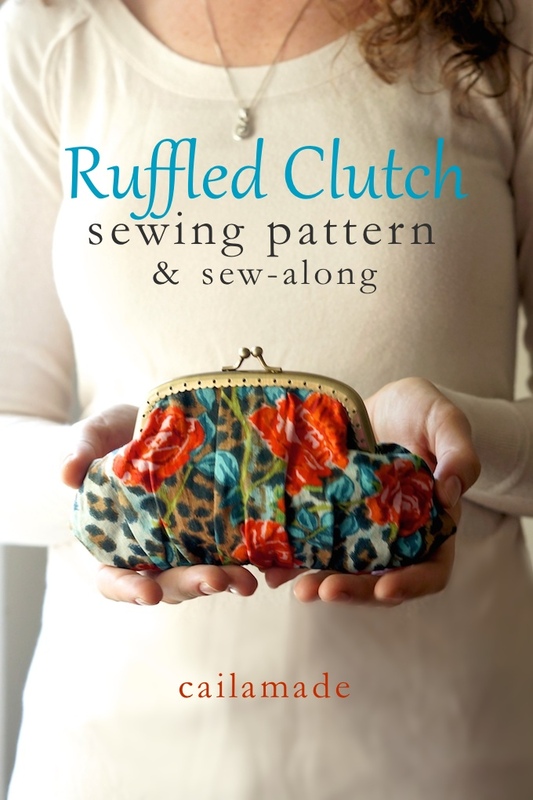 On Nancy’s latest show “Solving the Pattern Fitting Puzzle” she gives some great tips. This is the first part of two and I have already learned some simple tips that I can put to use. I hope this helps you too. Here is an interesting video by Sonia Singh Tree Change Dolls by Sonia. She takes dolls that are over the top and makes them into ones that young girls can relate too. 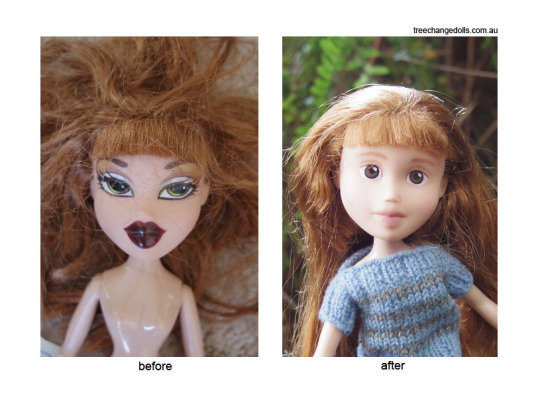 I like her story and the idea of changing these dolls for the better. Hope you enjoy it too. You can check out Sonia’s website here. Below Sonia shows the before and after results. I found three dolls in the second-hand shop and took off their make-up. I used straight acetone which works very well. (placed a little in a throw away cup and used cotton pad and q tips) I will post pictures after I get mine all done. 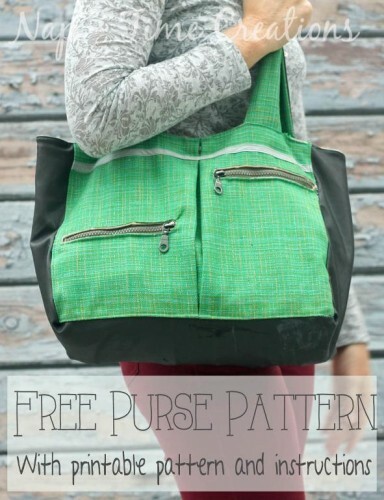 If you are wanting to sew up a bag and need a pattern or just a little instructions head on over to Pattern Pile. 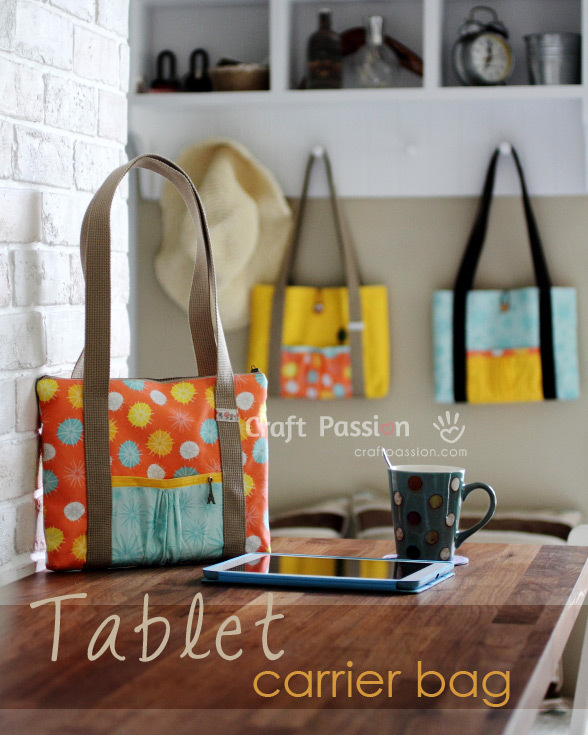 There are hundreds of ideas and many free patterns to choose from. I picked out three that I want to start with. You may have to become a member of Craftys for some of the patterns. I am tired of hearing all the things that are wrong in the world so I started a campaign on my Facebook page to post acts of kindness. Maybe you will join in and add acts of kindness to your Facebook page for the month of December. Maybe we can make a difference. Here is my post for today. Sewing with Nancy has been a favorite show of mine for a long time. At the end of her show she does a segment call Nancy’s Corner, during that time she interviews people who are making a difference with their sewing talents. A few are teaching women in third world countries how to sew and make a living, making pillowcase and giving them to children in hospitals to brighten their day, hats for people who have lost their hair due to chemo, dress for girls in Africa and the list goes on. Thank you Nancy Zieman for bringing this to our attention.